The Cohiba Siglo I is an outstanding Cuban smoke, a rich and smooth Petit Corona, of 40 ring gauge, 4" (102mm) long and comes in a box of 25 cigars. This is the shortest cigar in the Linea 1492.This small format Habano, short and thin gauge, is a quick smoke. The burn is even and nice. A perfect choice for a short break. The Siglo I is mild in taste, due to the kind of tobacco leaves (much lighter) used for the filler. The wrapper is also very nice, with very fine veins. This is a little cigar but being a Cohiba is quite complex. •	Starts out with cream and chocolate with the Cohiba grassiness. •	Turns into more cream and tobacco and a complex well blended smoke. Albeit small, this is a classic Cohiba. Don’t let its diminutive size lead you astray. 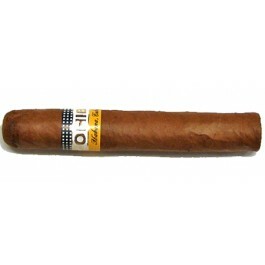 This cigar features a golden caramel colored wrapper, with a fine hairy tooth all over it, and a slick oil sheen to it. The wrapper features only a fine network of veins, and no blemishes or sunspots. The construction is fantastic, featuring a well lined triple cap, and tight, straight seams. The foot offers a fine, bready toast aroma, with just a slight floral nuance, as well as a hearty tobacco scent. The cold draw is just slightly snug, and offers a wide range of subtlety, from citrus and grass flavors, to smooth cream and chocolate. Burns straight with a slightly snug draw. Burns hot if smoked too quickly. Smoke this slowly and you will be rewarded. In the first third, the cigar develops a nice thick and creamy smoke. Aromas of cocoa, citrus and hay dominate. Some touches of spices also appear. Overall, the cigar is very well balanced; the burn is nice and even. The ash holds firm for almost the whole first third, and when it falls, it leaves a neat straight line. The second third goes on with the same flavors: chocolate, lemon, flowers. We also notice some black mushroom, cedar, and sweet coffee notes. The cigar can release very subtle aromas thanks to its very smooth and creamy texture, flavor and feel. It is definitely more complex than any comparable cigars. And the spicy touches that appear towards the end are keeping you aware that you are just not smoking any cigar. During the final third, the flavor profile remains consistent. The burn and draw are great, if smoked slowly, as it should be. You would be surprised by the level of complexity attained by the Siglo I in such as short cigar format. In summary, overall a great quick smoke with classic Cohiba flavor.